December 13, 2018: For the congress-curious reader Ballotpedia provides 2019 congressional information such as members' salaries, Committee details, and more. Last I heard, the 116th Congress of the United States is scheduled to open on January 3, 2019, probably at 12:00 noon ET, Capitol Building, Washington DC. 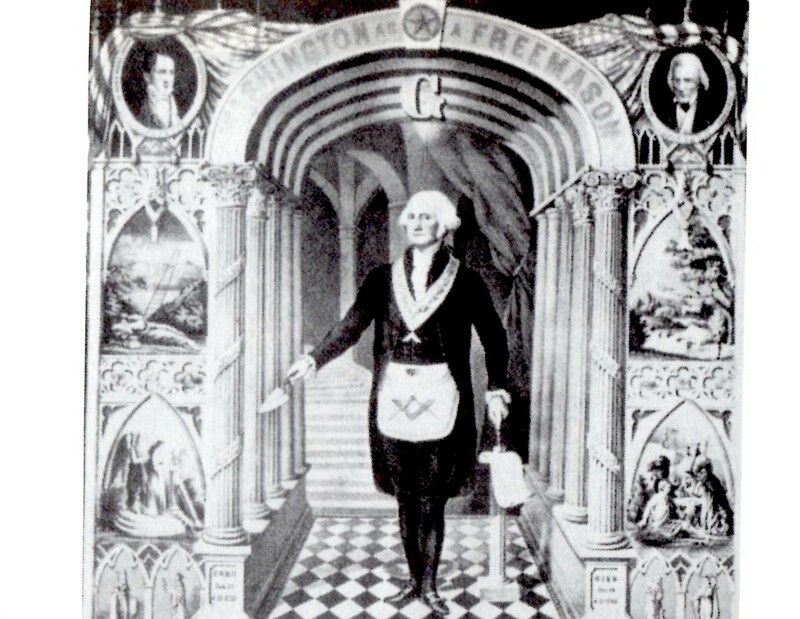 Of course, swearings-in of new members will be a first order of business--and the Moon in Sagittarius denotes outsiders, or someone different in the House! And amazingly, these new members have lowered the average age of Congress by a decade and many of them are ladies (Moon). If this date and hour are accurate, some interesting midpoint pictures appear at that particular moment, some that involve the Midheaven ('MC'), Point of Aspirations, Goals, and Public Status as it passes over the Capitol Building. This chart works symbolically even if the opening hour changes so let's consider a few chart factors for this date which has quite often been the opening date of Congress--I know, because it's my birth date and as a child it seemed that Congress opened every year as 'a gift' for little Capricorn me. Silly, of course, but no one told me differently so I persisted with the illusion! For it seemed a small and private honor then but that was before Congress members broke the public trust they had had with the American people back then and began neglecting their constitutional duties. Now we see the hot mess that has brought to America. Rising is 18Aries14, appropriate for a new undertaking, plus, 19Aries is the Exaltation of the Sun degree (but also the Fall of Saturn degree--Devore). This places the natal Jupiter of Speaker Pelosi on the Ascendant--opposing the natal Jupiter of Donald Trump on Descendant. Financial quarrels rising! 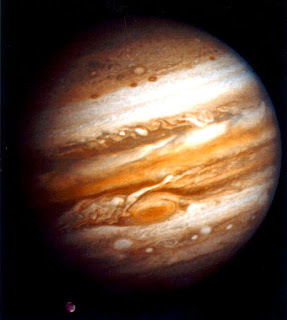 yet Jupiter also relates to Politics, ideals, and plans for expansion. And note that Venus in Scorpio leads a BOWL shape of all the planets which suggests to me that Venus represents Nancy Pelosi whose natal Mars is opposed by this Venus (see chart notes in blue, bottom left). It's a 'battle of the sexes' continued for you know what Speaker Pelosi said about Trump's manhood after their dust-up in the Oval Office over funding for his border wall and his threat of a possible "Trump Shutdown"! Now Aries rising makes testy Mars the chart-ruler and therefore the ruler of the 116th Congress. Meanwhile, activist Mars @1Ari45, just past the Aries Point ('AP') of Fame and Recognition, has risen and is in the 12th house of Politics and Large Institutions such as the US Congress; can Back Room deals be far behind? No doubt some have already been proposed and accepted. Or perhaps 12th house Mars, a leader and trailblazer, (with guru Chiron @28Pis11--a mentor?) will act as a Secret Enemy of the behind-the-scenes 12th house variety. After all, The Leader, the Sun @13Cap01 is in 10th house near the MC (10Cap07) but surrounded by enemies--or are they henchmen? For restrictive Saturn @11Cap41 and powerful manipulator Pluto @20Cap41 (at critical degree) form a trio with the Capricorn Sun (also at critical degree) and we might wish to consider the trio's potentials within a midpoint picture--fading but still somewhat in effect due to the weightiness of karmic Saturn and karmic Pluto along with the solar importance of the day. Plus, the Sun's position in Capricorn marks the annual opposition to US natal Sun @13Cancer when plans and goals of the nation should be reassessed and altered if necessary in order to reach goals. Or does the Icarus archetype signify congress members whose wings are singed by standing too close to Trump (Republicans) or who will somehow stand in Big T's way as the congressional session continues (Democrats)? Perhaps all of the above? Not knowing as I type if the Mueller Report will have been released by January 3, 2019 and possibly sent to the House--or partially revealed to the public--these questions are impossible to answer with any certainty, at least by yours truly. Plus, Trump's tax returns by federal law can be demanded by the chair of the Ways and Means Committee without approval by the Senate, as House Democrats have promised - yet Astrology can't tell us everything. By comparison, the 115th Congress horoscope for January 3, 2018 12:00 pm est showed evaluating Venus @11Cap56 in place of 2019 Saturn with Sun 13Cap16 (opposing US natal Sun in Cancer, did we say?) and primal Pluto @18Cap52 which activated the 1993 'New World Order' Uranus-Neptune conjunction/s with their 'the big picture must be followed, very little option to do otherwise' (Tyl) and Sabian Symbol for 18Cap: POLITICAL POWER (Jones) which implies foreign control or interference (ex: the City of London). It will interesting if tragic as 2019 proceeds to see what the idealism and plans of the progressive new members morph into as the riot act is read them by party bosses Pelosi and Schumer. If past methods hold, new members will be instructed that they will vote how they're told to vote but hopefully such strong-arming will lessen for the good of the American people who voted for a more progressive agenda than party hats have provided so far, their cotton-filled ears notwithstanding. Yet Ms. Pelosi has reportedly agreed to step down in 2022 so we'll see if the backlash against her speakership has abated for now in this generational clash. Now with Mars as chart-ruler 'his' applying Ptolemaic aspects give clues as to how things will proceed. 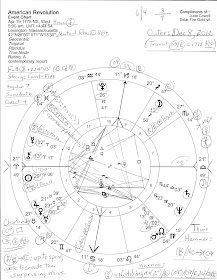 However, this Mars makes no applying aspects in the chart which emphasizes the warrior planet's sign and house position--Aries, his own sign, and 12th house of Politics and Karma so it looks like it's going to be an active, possibly pioneering, and secretive two years, folks, for among the new members of the 116th Congress there must be at least a few Aries-inspired ladies among them! For more on midpoint pictures see: Ebertin's The Combination of Stellar Influences, Munkasey's Midpoints: Unleashing the Power of the Planets, and Tyl's Solar Arcs. Related posts include: Chiron to Aries Point and America's Chiron Return.